Do you ever feel frustrated that you have wasted your time in a meeting? Looking to add more control and predictability to Your Sales Call? Do you establish ground rules with your prospects? It’s difficult to achieve a win/win outcome unless all parties agree to the outcome they seek. That’s why up-front contracts are a strategic element of the Sandler Selling System. 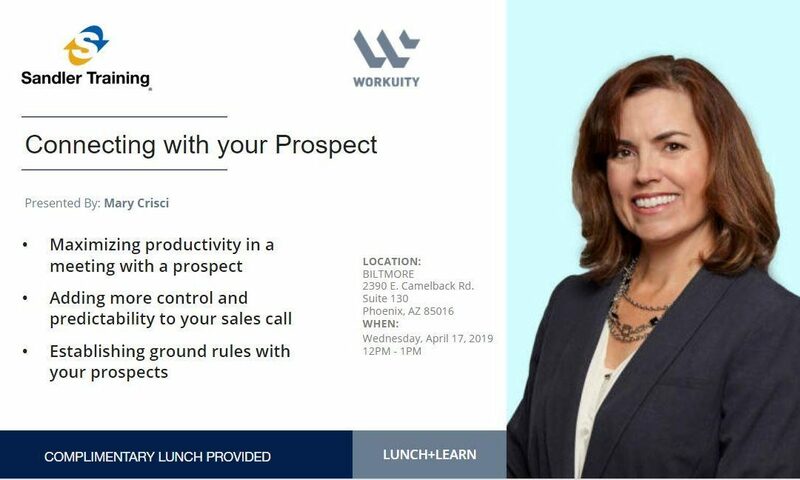 We will take a closer look at what it is, why it’s important to know and how to use it on your sales calls. Join us in welcoming Mary Crisci, M.A. Communication, 16 years as a Communication Professor, President Club award winner, Bronze & Silver Certified Sandler Sales Trainer & Recruiter who is passionate about company culture, organizational communication, and leadership engagement.